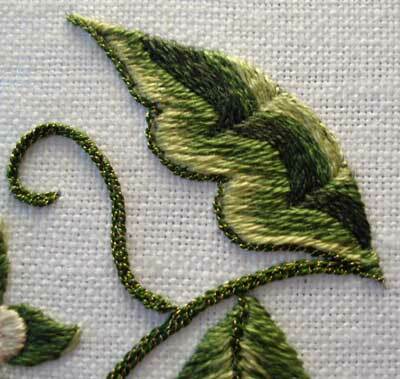 Since it’s St. Patrick’s Day, let’s meander through some green embroidery stuff together, shall we? Clicking the photos will take you to the articles related to them. When I was growing up, we had this “tradition” that if you don’t wear green on St. Patrick’s Day, anyone who notices that Huge Social Blunder of Non-Greenness can pinch you. Now, in my family, if you are wearing green, and people pinch you because they assume you aren’t wearing green, you can punch the person who dares! I’m not necessarily talking an uppercut to the jaw. But, in just retribution for assuming no green, you could give the Assuming Pincher a good punch in the arm, for example. 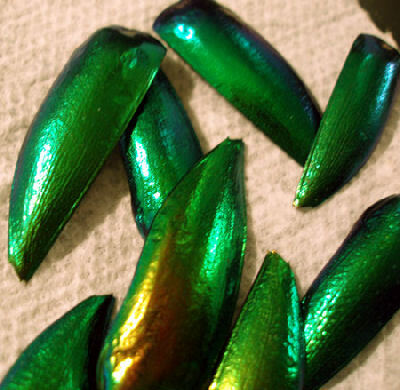 This, of course, lead to wearing green in odd places. Green socks that aren’t easily noticeable, green eye shadow, tiny green earrings… and other green things we won’t mention… Anything tricky, to get in a punch! 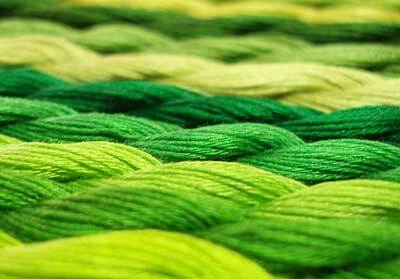 Since I’ve duly greenified Needle ‘n Thread today, you can’t pinch me. And if you do, be warned! I have a pretty mean uppercut! Happy St. Patrick’s Day! Love the pictures, as always. You’ve made my St Paddy’s Day! What a nice, green post! Happy St. Patrick’s day to you and all your readers! I really enjoyed clicking on all of the pictures to read the original posts. And I won’t even try to pinch you! Ach, Mary!I saw that hint o’rainbow in the little book cover! If ye thought ye were goin’ to trap me by pullin’ me inta one of those wee little pictures to bide awhile, ye’ve got another thing coming! I may be a teeny, bit old, and me beard is long, but I’m still spry! I’ve already missed a few traps this morning. So, no, I won’t be leavin’ me gold. I’ll visit yer sites another day when ye aren’t expectin’ me. Happy St. Patty’s day to ye, dear! Glad to see ye’ve bedecked yer site in me favorite color. Well, A. Leperchaun, so nice of you to follow Mary’s blog. I’m guessing you use spider silk and sunbeams, like I do, for your embroideries. 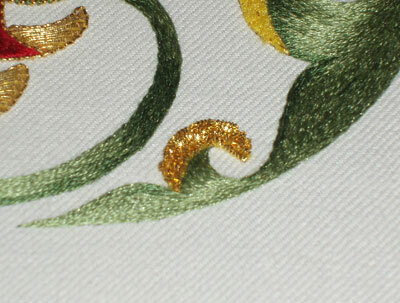 Oh, and of course gold thread couched with green. We might just catch up the next full moon and misty night. I’ll watch for you. I am wearing green by the way. Love looking at the bits and pieces of pictures you’ve posted in the past, trying to remember which projects they’re from. I don’t remember seeing the preening parrot here but I’m still a fairly new person. Don’t remember the garden scene either. 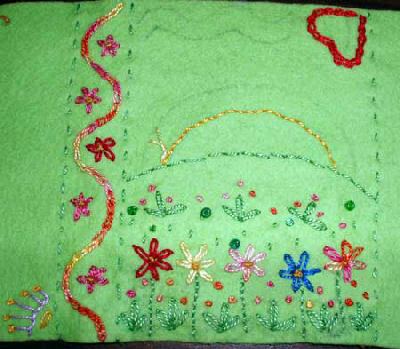 The rest ring a bell and remind me of the great things you’ve stitched and shared. Keep ’em coming, green or not. Happy St. Pat’s Day, everyone! Thanks you for sharing your family tradition, and the gorgeous pictures. You are amazing Mary. Your creative writing ability, photography, computer skills, and oh yeah, embroidery too. Amazing. Just amazing. You put your best into all. What a fun way to celebrate St. Paddy’s Day. Thank you! Happy St Patrick’s Day to all who celebrate it. It, like Halloween and St Valentine’s, is not a very big deal here in Australia. Of course the Irish Clubs dye the beer green and that sort of thing but that’s about the limit, except for the long-held belief that St P’s Day was the day for planting your sweet peas so you would have a glorious display of flowers in spring (in truth you can plant them any time from mid-February to mid-April). Green, it must be said, it not a favourite colour of mine so much of your work above would not get my vote as your best, Mary, despite that it is undoubtedly excellent work. Anyway, hope you all have/had a happy day. I’ve come in a little late on this one but the threat of your upper cut has me looking rather green around the gills all the same. Love all the photos. I’m an autumn green person, with my auburn hair colouring, so am attracted to those colours. Am going on a wander through their articles in the morning. Well at least at a respectable time in the a.m. Is 12:30 a.m. here now. My school (altho NOT my family) had the same wear-green-or-get-pinched tradition. Being a redhead, I always had some green article of clothing, and you can be sure I wore it – I was bullied anyway; I wasn’t about to get pinched too! I am proud to report, however, that I never pinched anyone. 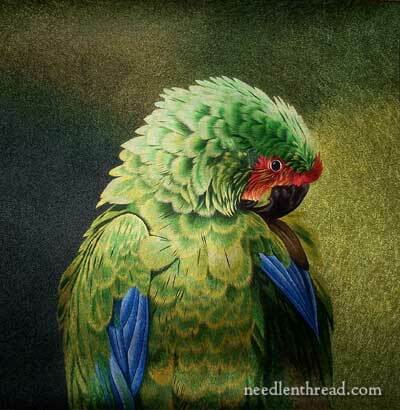 If it hadn’t been your newsletter that parrot showed up in, I’d have sworn it was an oil painting – gorgeous! GRACIAS:TODAS TUS OPINIONES Y COMENTARIOS SON PARA MI UN DELICIOSO TEMA DE INFINITO INTERES.